“Big Easy” discovers Pura Vida in paradise, signing on as Peninsula Papagayo's global brand ambassador. 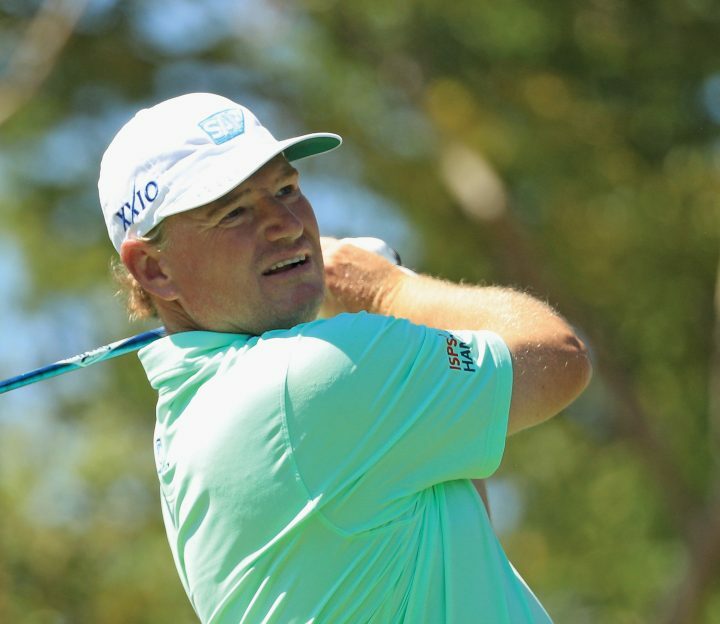 GUANACASTE – Peninsula Papagayo, Latin America’s acclaimed residential and resort destination, today announced that it has signed South African professional golfer Ernie Els as a global brand ambassador. “This is a really exciting partnership for me,” commented Els. “Peninsula Papagayo is one of the world’s ultimate eco-adventure playgrounds. It offers a unique mix of luxury hoteliers, world-class amenities and extraordinary oceanfront real estate, with a warm and relaxed Costa Rica feel. I love communities that manage that balance,” Els said. The partnership will grow with several exciting initiatives, starting with an affiliation with The Els Club—a portfolio of hand-picked golf and resort destinations around the world. The Ocean Course at Peninsula Papagayo is one of the ultimate eco-golf experiences in the Americas. “Ernie’s passion for life and easy going nature is the embodiment of Costa Rica’s Pura Vida spirit,” said Karim Alibhai, founder and CEO of Miami-based Gencom, the developer of Peninsula Papagayo. “His standard of excellence on and off the golf course, paired with his Hall of Fame career and charitable accomplishments, captures perfectly both the casual sophistication of our community and our dedication to delivering experiences of exceptional quality over the long run,” Alibhai said. The landscape reminds me of South Africa. The place has such incredible natural beauty. Situated on Costa Rica’s north Pacific coast in the province of Guanacaste, the private 1,400-acre Peninsula Papagayo is Latin America’s ultimate coastal retreat offering an unparalleled closeness to nature and a lifetime of adventure for the entire family in one of the most peaceful and bio-diverse countries in the world. The community includes Four Seasons Resort Costa Rica at Peninsula Papagayo, Andaz Costa Rica Resort at Peninsula Papagayo, Prieta Beach Club, Marina Papagayo and an exclusive collection of oceanfront homes and villas. Peninsula Papagayo is located 30 minutes from Liberia International Airport, which offers more than 100 weekly flights seasonally from major cities in the U.S., Canada, U.K. and across Central America. For more information visit the website: https://peninsulapapagayo.com. The Els Group encompasses a portfolio of class-leading companies and brands that are unique in the business. It includes Ernie Els Design, a full-service golf course design company wholly owned by four-time major champion and World Golf Hall of Famer Ernie Els, and also The Els Club Collection, Els Performance Golf Academy, Els Club Estates, Els Iced Coffee, Big Easy Winebar & Grill, along with an award-winning wine portfolio created by Ernie Els Wines in Stellenbosch, South Africa. Since its formation in 2000, the company has received global recognition with a string of prestigious accolades. In 2015 Els was voted ‘Designer of the Year’ at the World Golf Awards, while many of Ernie’s signature courses have won prestigious industry awards including ‘Best New Golf Course in the World’ for The Els Club Teluk Datai in 2014. In 2016, it also became the first layout in the Ernie Els Design portfolio to be listed in Golf Digest’s ‘World Top-100’. In addition, five courses in the company’s portfolio have hosted tour events: Albany in the Bahamas (PGA TOUR Hero World Challenge from 2015-17); The Els Club Dubai (Dubai Open Golf Championship), The Els Club Copperleaf (Tshwane Open), Anahita Four Seasons Golf Resort (Mauritius Golf Masters and 2016 AfrAsia Bank Mauritius Open, the first ever tri-sanctioned tournament by the European, Asian and Sunshine Tours) and Wentworth West Course (BMW PGA Championship). For more information on The Els Group visit www.ernieels.com.